Debt cancellation can be a wonderful thing. Just imagine how great it would feel if you could get the majority of your debts canceled. If you’re typical you probably owe around $8,000 on just your credit cards. Wouldn’t your life seem a lot brighter if you could get $4,000 of that $8,000 in debts canceled? Is debt cancellation really feasible? The short answer to this is that “yes” it is possible to get debts canceled. The type of debt that is canceled most frequently is mortgage debt in the form of a short sale. If you are not familiar with a short sale, this is where the mortgage holder allows you to sell the house for less than what you owe. Short sales became very popular after the housing crash of 2007 because so many people found themselves living in homes worth much less than what they owed on their mortgages. Beyond this, lenders are sometimes willing to cancel or forgive the remaining portion of a mortgage if you are down to a very small balance. While this doesn’t work for everyone, it can be an excellent way to get out from under some of your debt without having to go through foreclosure. Theoretically it’s possible to get almost any kind of debt canceled. For example, a Chapter 7 bankruptcy will dismiss or cancel almost all types of unsecured debts such as credit card debts, medical bills and personal loans. Debt settlement is another way to achieve debt cancellation. It has become very popular over the past several years. It’s the only way to get debts reduced or canceled short of filing for bankruptcy. Plus, it doesn’t have as negative affect on people’s credit scores as does a bankruptcy, which can reduce a credit score by as much as 200 points. Debt settlement is sometimes called debt negotiation. The reason for this is that negotiation is at the heart of debt settlement. You contact your creditors and negotiate settlements – for something around 40% to 50% of what you actually owe. Of course, you can’t just call a creditor out of the clear blue sky and say, “Hey, I want to settle that $5,000 I owe you for $2,500”. You must have been arrears in your payments for at least six months and must be able to demonstrate that you’re in serious financial trouble. In fact, it’s best if you can honestly tell the creditor that if it refuses to settle with you, your only option will be to file for bankruptcy. Most lenders, especially credit card companies, will settle under those conditions because they have learned that it’s better to get half of what you owe than nothing at all. 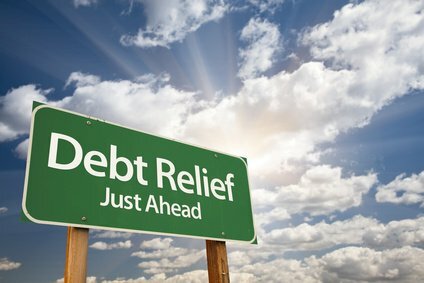 If you are able to successfully settle a $5,000 debt for, say, $2,500, the remaining $2,500 would be considered debt cancellation. Of course, you do need to have the other $2,500 available to pay the settlement. If you can say “settle this with me today and you’ll have the money tomorrow,” this is one of the best bargaining tools. While you might be able to settle $20,000 in credit card debts for just $10,000, the odds are you don’t have the $10,000 just sitting around. If you did, you probably wouldn’t be in such trouble. This is why many families have turned to companies such as National Debt Relief to help them with debt settlement and debt cancellation. The company charges nothing until it has successfully settled all of your debts and presented you with a payment plan you approve. So you have nothing to lose by giving the company a chance to help you with debt cancelation.